Being a mom is hard. Being a mom that works full-time is harder. 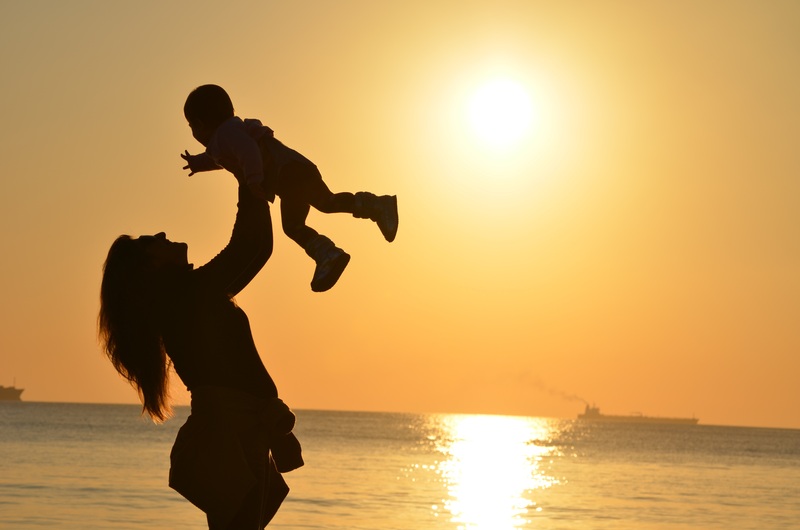 With Mother's Day being last week, I, like many others, was exposed to what felt like hundreds of articles that dealt with motherhood, what it means to be a mom, and why we should be thankful for our moms. One, however, caught my eye in this flood of Mother's Day pieces. It was a piece written about how stay-at-home moms do just as much as moms who work. This is something that I strongly disagree with. First off, I want to make it clear that I believe that all moms, no matter what they do for a living, are valuable, admirable, and probably a bit superhuman. Every mom possesses so much strength for all that they have to do, and I have nothing but respect for that. I also recognize that stay-at-home mothers do a lot of work of their own, and it's not easy running a household. No matter if a mother works full-time, part-time, or not at all, being a mom is the biggest and most difficult job of all. I do have a problem with stay-at-home moms claiming to have it just as hard as moms who work full-time, though. I do realize that some stay-at-home moms feel the need to battle any stereotypes surrounding them, but I find it completely ridiculous that they think they work at the same level as a mom who is working full-time because they just aren't. It has nothing to do with their ability to be a mother, but stay-at-home moms just should not be able to claim that they are just as busy as working moms. Because it should be clear that a mom who works full-time has to do everything that a stay-at-home mom does, but she also has to work eight hours a day as well. I know that I'm biased because I have a mom that has worked full-time my whole life, despite having two children to look after. My mom works well over forty hours a week, yet she still does the grocery shopping, laundry, cleaning, and basically is constantly ensuring that the entire family and household isn't falling apart. Everything that a stay-at-home mom does, but she doesn't have all day to do it. She gets home from a long day at the office, but she knows that she doesn't have just that one job. She has her other job, her job as a mother, that never stops. She has to sacrifice her weekends to running errands rather than relaxing, even though she only has these two days off. My mom has told me that it would have been nice to be a stay-at-home mom or even a mom that works part-time. She would have loved to have dedicated herself to her children every hour of every day. She admits that because of her job, she has missed some things in her children's lives that she wishes she could have been there for. But in my family, as is true for many families, her not working just wasn't a possibility. Though I know my mom didn't exactly want the life of a full-time working mom, I am incredibly proud of her for being on that path all the same. I see how hard my mom works at both of her jobs - the one that she gets paid for and the one as a mother that she doesn't - and I see a role model. If I do have children of my own someday, I know that I will never stop working. From having a full-time working mom, I know that it is 100% possible to be an amazing mom and have a career at the same. Being a mom is indeed a job in itself. But don't try to convince me that being a mom and not working is just as difficult as being a mom and working over forty hours a week. No matter what argument is presented, my beliefs on this topic will never be changed. Full-time working moms deserve our respect for everything that they do.